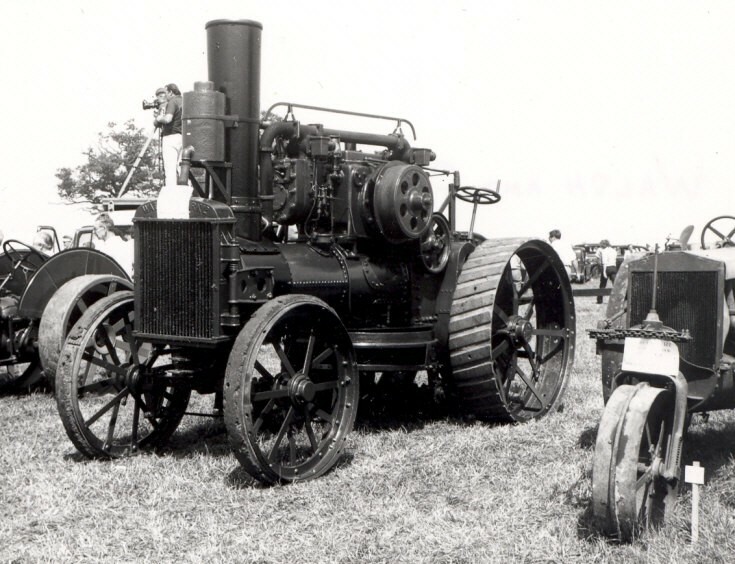 Title that came with this photo is '1920 Walsh + Clarke 2 cylinder engine', not sure of location. Is this a General Purpose engine? I think this engine was mainly used as a general purpose engine, I have driven one of them on the road a real bone shaker, in my area they were used by a local contractor for working threshing machines, as they were powered by paraffin I doubt if they had the power for ploughing, not on heavy land at least. Added by John Champion on 17 February 2011.